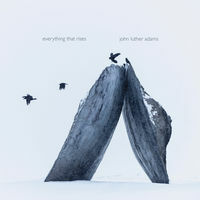 Everything that lives, laments, everything lost may yet be regained, and Everything That Rises (Cold Blue Music CB 0051), well, that is the latest music, a String Quartet, by John Luther Adams. The remarkable JACK Quartet does the honors. The music is perhaps more processual than minimalist. There are long foundational notes in the cello and a series of rising scale-ular motifs in the rest of the strings, in delicate untempered intonation. The artful articulation of sequences helps via gloriously rich attacks to give the upper notes transparency and vertical flight as they also create overlapping harmonic sequences with distinct timbral colors that stand out as special. The movement of notes gives us another possibility in the Radical Tonality camp. It rises in melodo-continuity, not so much in contumacy against the orthodox but as another alternate lawful structure if you will. It has a real cosmic endlessness that feels as if it reaches ever higher. The effect is well felt though underneath it is physically limited by the cloudcover options of range in the harmonics of free flight. It never feels that way as you listen, which is what matters. And in the end there are some very high notes to boot! It spells a reaching ever upwards and so exhilarates in its passage through our musical selves. The sequence of soundings, as one ever expects from John Luther Adams, is most artful. 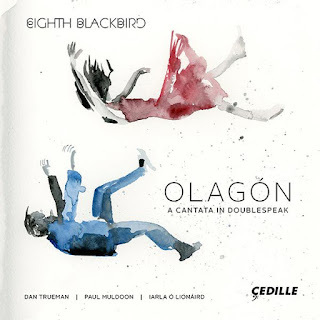 And the performance and audio quality are world-class as one expects ever from Cold Blue Music releases. It has a kind of organic-melodic arc that is very pleasing to hear repeatedly if one is willing to suspend judgemental expectations. The sound colors are quite beautiful to behold. For these reasons and for the way the music ever expands one's horizons I do not hesitate to recommend it heartily. Its value to me is as plain as the nose on my face. Enough said. The voice was the first instrument? Or maybe a rock pounded on a rock? An imaginary origin tale is of no real account. It is enough to know that in music for voices there is a long ancestral stream that we continue to float down today. And in the slipstream of it all, something new. 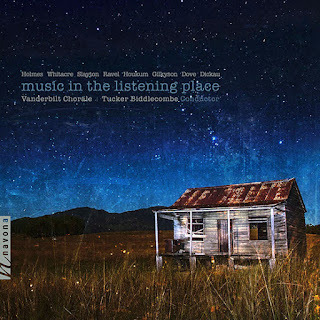 It is the Vanderbilt Chorale under Tucker Biddlecombe performing some nine short choral new music or classic modern works, none of them exactly avant garde, but instead tonal with varying degrees of newness versus injections of tradition or just songfulness. The Chorale is part of the Blair School of Music at Vanderbilt in Nashville, Tenn. They are well trained and sonorous. The nine works show us versatility as they show something of the range of mainstream choral compositions possible today. Withal some nine musical scribners grace this anthology. Daniel Read of shapenote hymnophony starts the program on a well preserved archaicist note. Then follows Eric Whitacre, Michael Slayton, Maurice Ravel (we know HIM! ), Aef Houkum, Eliza Giekyson, Jonathan Dove, David Dickau.... Mostly unknown (to me) names. Frankly, not every one of these compositions floats my boat. There are a few that I do not salute as a personal anthem. Nor do I "take the knee" in protest of them. One accepts that there can never be a perfect, happy occlusion of self and all works coming about. Nevertheless the program has beauty and depth. It is one of those unexpected surprises. Lovers of things choral will most likely savor these nuggets. There is substance and dedicated singing. So what more? Try this out! I suggest you do. Nobody ever was injured listening to new music. Not that I know of. These should rather have a beneficial effect I would think. The "Americana" strain of Modernist American music began with Charles Ives (1874-1954) and continues through to today. One might note an initial peak in that sort of composition in the primary years of Aaron Copland's output. Yet the folkways of American musical life is sufficiently rich and varied that it is never far from earshot. We get an ample sampling of some important works with an Americana flavor on American Sonatas for Violin and Piano (MSR Classics MS 1553). Ching-Yi Lin on violin and Zachary Lopes on piano turn in some marvelously fresh performances on three sonatas here. The program begins with Ives and his "Sonata No. 2 for Violin and Piano" (c. 1914), then moves to William Bolcom (b. 1938) and his "Sonata No. 2 for Violin and Piano" and finally lands on John Corigliano (b. 1938) and his 1962-63 "Sonata for Violin and Piano." The Americana element is present in Ives with his hymn tune transformations that modulate unexpectedly and deliciously. Bolcom makes use of two blues motifs that become a part of a Modernist matrix. Corigliano takes folk hymn like melodics and does his own Modernist transformation. Nothing quite sounds deliberately folkish yet the impression lingers nevertheless. All the works call for a good deal of subtle interpretation. The Corigliano finale and its exuberance sums it up. It is not a music of gloom but more an exploded barn traveling through space. Each part is necessary because a part of an earlier whole. Yet the parts weave in such complex and gratifying ways that even after 20 listens you still have much to discover and affirm. Lin is a very mellifluous and singing voice on the violin; Lopes spells her with character and depth. 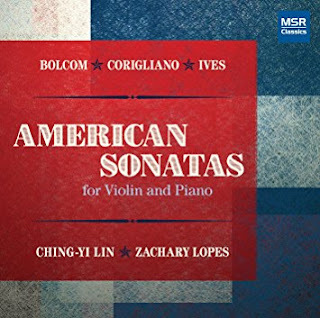 American Sonatas gives much needed air and dimension to three substantial works. What you can hear over time in these performances makes it all very much worthwhile. Recommended. 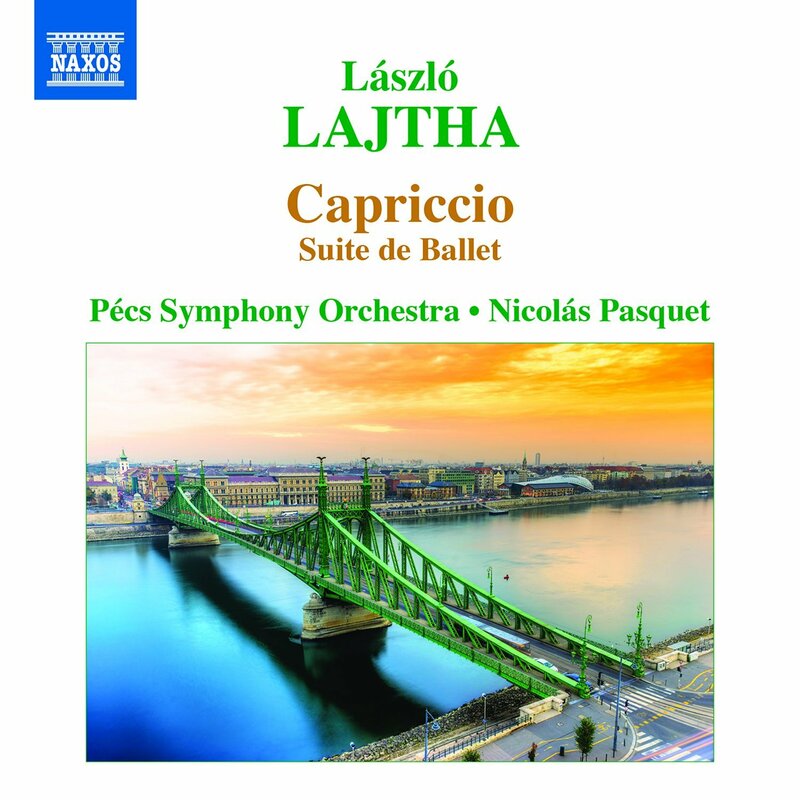 In the world of modern Hungarian music Laszlo Lajtha (1892-1963) rivalled Dohnanyi, Bartok and Kodaly for the most important composer of the first half of the 20th century. Naxos has embarked on a series of releases covering the composer and his music. This latest one was recorded in 1994 and features the Pecs Symphony orchestra under Nicolas Pasquet. It is the Suite de Ballet Capriccio (Naxos 8.573649). The 14 short movements give us a more whimsical side of the composer, befitting the lighthearted subject matter set in 1700. It was composed in 1944. It gives us a glimpse of his non-strictly symphonic output and miniaturist side. It is charming fare, not precisely earth shattering but quite nice to hear. It is rather surprising given this and the symphony CD I reviewed a while back (Symphony No. 2, see last January post) that we in the States have known little of this music. Capriccio is neither avowedly Modernist nor is it overly Romantic. Perhaps it is rather Neo-Classical in its own way. It is well crafted, well orchestrated and performed with some zeal and precision. The Hary Janos Suite by Kodaly might me something comparable, except Capriccio sounds less obviously Hungarian. Lajtha turns out to be essential listening for anyone interested in the Hungarian legacy of last century. There is elegance and straightforward attactiveness in the Capriccio score. It is worth hearing, certainly. 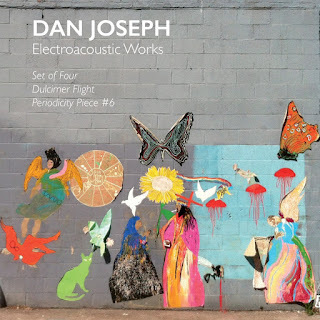 Listening to the drone-sustain Electroacoustic Works of Dan Joseph (XI Records 138, 2-CDs for the price of one) is something like watching a beautiful sunrise. Except of course in periodic time more so than in space, though there is a good bit of vertical presence. Joseph studied with Pauline Oliveros, Alvin Curran, Mel Powell and Terry Riley, which gives you a clue to what his music does. He has been a New Yorker since 2001. Alan Licht's liners tell us that Dan has been "a drummer, a shoegaze/post-punk guitarist, an ambient-industrial tape music artist and a post-minimalist chamber music composer." All of that either more obviously or more subtly comes into play in this set of exceedingly beautiful electroacoustic works. 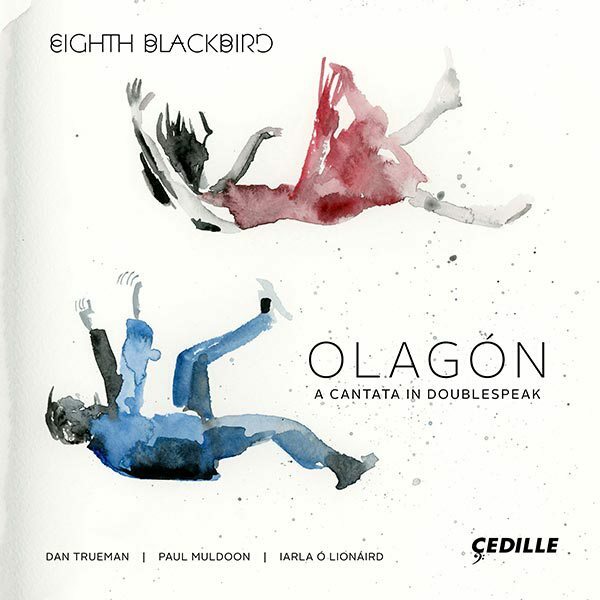 The first disk contains two multipart works, "Set of Four" (2008) and "Dulcimer Flight" (1998-Present). The second disk is devoted entirely to "Periodicity Piece #6" (2005) which clocks in at 65 minutes. Alan Licht in the liners makes note that we are here beyond the timeless quality of early minimalist works. Instead Joseph's electroacoustic pieces have about them a timeful periodicity. It is most obvious in the enchanting "Periodicity Piece #6," in the recurrence of punctuated elements that segment the drone-sustains--an electronic beep, a low percussive interjection, etc. Licht also notes that the Joseph electroacoustic brand of post-minimalism is more about repetition as mnemonics more so than trance. That is in terms of performance more so than listening. I do feel as I listen a kind of trance-like repose. It does not matter because it is a float more than a spin as you listen, and so the non-spin is not so trance inducing. OK.
Each segment has magic.There is unfolding within blocks of suspension. The hammered dulcimer is often enough a prime source of sustain and also of punctuation, but then there are electric guitar harmonics, what sound like brass sustains, etc. A poetic soul. someone used to drones and ambient edifices will take to this dreamily. Others like my partner of the now might not. She referred to it as "garbage," a reaction which might be a sort of "exception that proves the rule," since this to me is not at all some sort of refuse, but more like an oasis in a desert. Needless to say, if you love ambient spaces of beauty I do believe this album has your name on it! It will transport you, beam you up to its feathery cloud-laced canopy. I want to hear more of Dan Joseph after this. That is the best sign for me that it is important. The early Modernist opening decades of the 20th century were by no means predetermined by what came before. Sure, the advent of a thoroughgoing chromaticism and the edges of tonality could logically be inferred from Wagner's Prelude to Tristan and the general tenor of Late Romanticism. Nothing was inevitable, however. So the rise of a key Brazilian composer was not expected. And yet Villa-Lobos came on the scene and gradually provided his own unique folk-based chromato-dia-Modernist approach. We can go back to a freeze-timeframe and experience the two symphonies be began in 1916 and 1917 (with the latter taking its final form only in 1944). Isaac Karabtchevsky and the Sao Paulo Symphony Orchestra allow us a focused look at Symphony No 1 "O Imprevisto" and Symphony No 2 "Ascensao" (Naxos 8.573829) as part of their complete symphony project. Anyone who already loves Villa-Lobos as I do will find more undiscovered treasure in these early opuses. They have the germinal elements that would become more refined and orchestrally more transparent and luminous in his maturity. And in the early phase here there is perhaps a naive quality that conjoins with folkish-expressive diatonics and some modernist chromatics for a rather buoyant and disarming effect. The second is nearly twice as long as the first at 48 minutes. It is the more expanded development of the implications of his initial symphonic strategy. In no way are these works a rusty-rustic opening salvo. They cohere as a first stylistic emmination, lush and evocative even then of his kind of Brazilian-modern rhapsodistic unpretension. 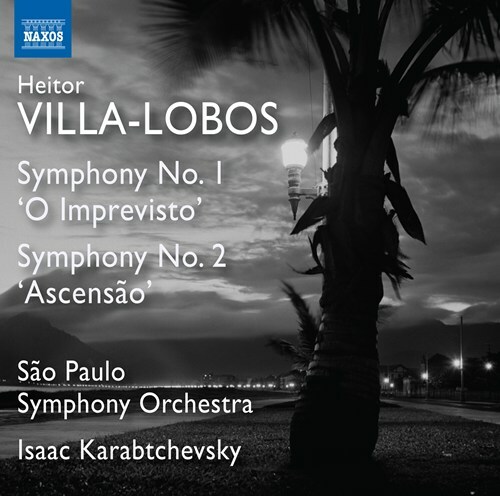 Any Villa-Lobos lover will find these symphonies a welcome and enlightening addition. The performances are well in hand and give us a quite decent idea of what the scores contain. So do not hesitate if these seem interesting to you. To close out a very hectic week and to bring in a Friday vibe, I'd like to highlight an album that has grown on me with successive listens to become something I welcome very happily each time I hear it. 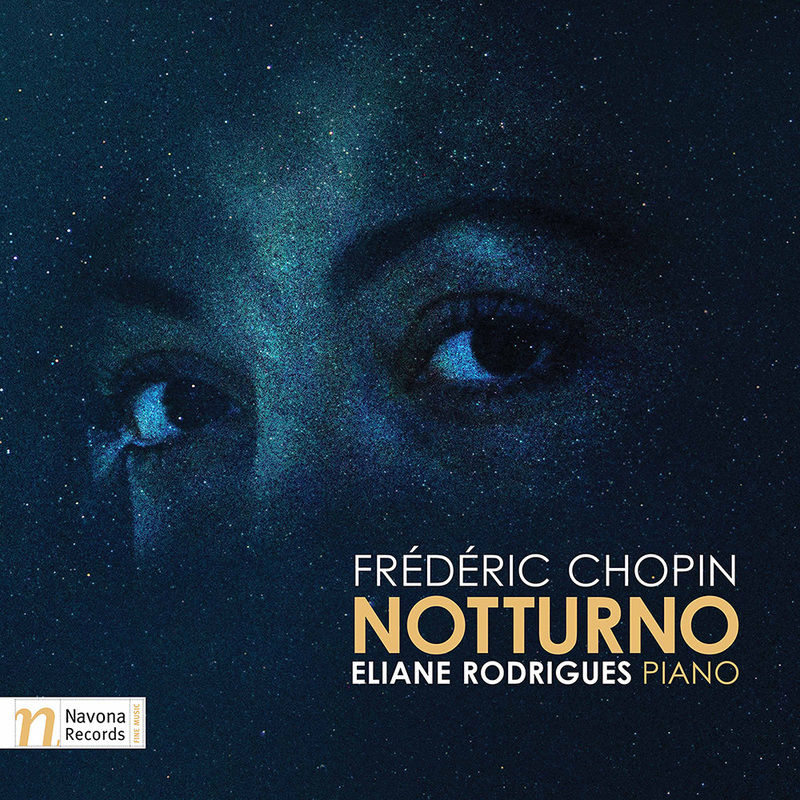 It is Brazilian born pianist Eliane Rodrigues and her ravishing interpretations of some monumental Chopin, those "Nocturnes." Notturno (Navona 6123, 2 CDs) covers all the "Nocturnes" plus the first and fourth "Ballades." It is hard to imagine any piano music in the later half of the 19th Century on in the classical realm that was not influenced by the lyrical Chopin, certainly Liszt through Ravel but onwards from there to the modernism and postmodernism pianism, any music that still gives out with the singing cantabile style he did so much to put forward. For the Romantics there was magic in the night. It was the principal source of poetic mystery, of aesthetic yearning, of the ineffable landscape of dreams and time endlessly stretching backwards to fable, myth, and a tide of feelings of awe in the face of Creation. The Notturno captured the dream-filled night like no piano music before it. And as we listen today it remains a singular moment in the piano literature. Never was so much lyricism packed into every space, never did the piano sing quite like this before! Like some others of my generation I poured myself into Chopin with a comprehensive LP set of the complete (or nearly complete) Chopin piano opus. Some versions of things were better than others. It was all Vox stuff. The recordings often enough reflected the kind of bombastic renditions typical of the late '50s-early '60s. Not all of it. It did give me a decent introduction to the Chopin all-of-it and so it was a good thing. And I could afford it. Of course those versions were in no sense the all-in-all, as I quickly discovered. And now....Listening to Eliane Rodrigues and her way with the "Nocturnes" I find myself transported into a world of sounds as Chopin no doubt heard it. In the hands of Eliane Rodrigues all the poetic dreaminess comes into play. The extraordinarily sensitive performances made me say to myself nearly involuntarily, "only a woman can sound like this!" I started. Really? No, not really. Still, perhaps it is more apt to say instead that "only Eliane Rodrigues sounds quite this way!" That I find is true. The rhapsodizing and the breath-like rubato does not have a trace of sentimental affect. It sings with brilliance and makes for a near ideal set of performances. She may not be as technically perfect as some of the old greats, but she makes up for that with a spontaneity of life-born expression that rings true, as true as any version you are likely to hear. Keep in mind that there is no advantage for me in saying this, or anything else on here. It is all about the music and not about some personal gain. I speak my feelings fully. If this performance rings my bells, I also do recommend you check it out and see if it doesn't do the same for you. We do not live forever, but wonderful music gives us some glimpse of human immortality. This Chopin, this version...it is something beyond our time or any other. Do try this out. See for yourself. With the premier of Tchaikovsky's Symphony No. 6 "Pathetique" in 1893, the curtain in many ways triumphantly came down on the Russian Romantic movement as at the same time the stage was set for the rise of Modernism via Rimsky Korsakoff and then of course Stravinsky, Prokofiev and in time Shostakovitch. That the extraordinary melodic gift of Tchaikovsky would carry over as one of the signature traits of Russian Modernism is very much the case. And it could be argued that the "Pathetique" was the exemplar of such tendencies, the masterpiece of the art in the late 19th Century. 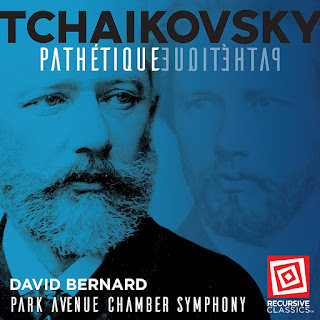 There is a recent recording of the Pathetique (Recursive Classics 2059912) by David Bernard and the Park Avenue Chamber Symphony. But first off, what of the music itself? There has been a tendency in musical thinking from the Romantic era onwards to ascribe the affective content of a work to a putative emotional state of the composer when he wrote the music. So for example Stravinsky's "Rite" was in part a product of a toothache, and so too the "Pathetique" has been ascribed to Tchaikovsky's gloomy state of mind as moving toward his death when he wrote the work. We tend to allow writers some separation between written content and state of mind. So fortunately no one to my knowledge has ever tried to tie King Lear to Shakespeare's mood. The idea of the tragedy in literature permits a somber turn of plot in a work without having literally to insist that it is a direct correlate to the outlook of the writer. We can have in film today a macabre horror film that may coexist with auteur mood while not ascribing a causal relation. Why then in music must we be so grossly literal? It is a tragedy of the Modernist movement that lay listeners often are frightened away from a very progressive work with the notion that the composer must be him or herself frightening! So the "Pathetique" and the narrative that tried to tie biography and work into an expression of one to the other. In the end it does not matter. Not for the music, that stands alone in the end as a work of great passion, perhaps, but the greatness needs no literal connection with the life. And so we get the wondrous passage in the symphony from directly tragic opening and closing movements of grievous lament with the two ravishing inner movements with their irresistible rhythmic momentum and incredible melodic power. 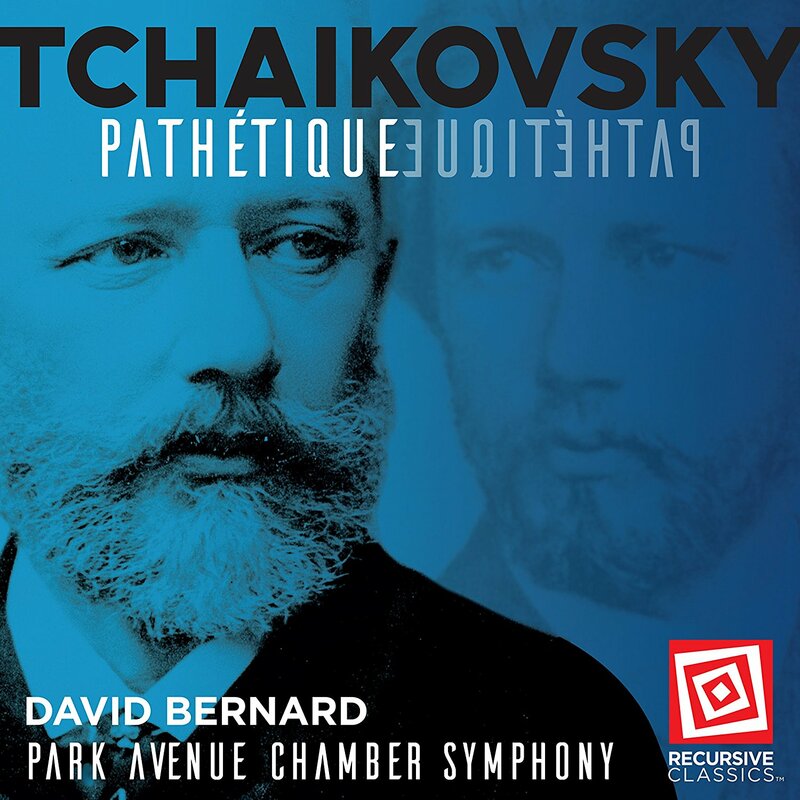 The Park Avenue Chamber Symphony as their name suggests is not the sizable romantic outfit that might be expected to perform the "Pathetique." There are less strings to be heard, yet the sweep of affect in those instruments are still to be heard and properly so. What seems especially good about such a reading is the more out front mix of strings and winds-brass, with the latter becoming a bit more central to key passages. What we get is perhaps a version for our times, no less affective but perhaps less fully drenched in emotive despair. I find it convincing. If it may not be the absolute benchmark of performances, it has its very own elan and can be enjoyed alongside the more string-centric performances to give refreshment and to allow a re-experience of the music's profound lifeway presence. So check this one out by all means. There is no shortage of great 20th Century Italian Composers. In the States at least, some of the greats are not as widely known as their stature would suggest. An excellent example is Mario Castelnuovo-Tedesco (1895-1968). He lived a good amount of time, was both prolific and original. Yet not nearly enough works are performed with any regularity in this locale. Why? His biography supplies some details. A Sephardic Jew in Florence, he was forced to leave Italy with the rise of Mussolini. In 1939 he entered the US, one of many brilliant immigrant composers to make the exodus to the New World. Like some important others he ended up as a film composer, which was then and is now ever a mixed blessing for the compositional arts. He was in no way relegated to obscurity then. But his fate in the present has not entirely allowed him much in the way of immortality. What matters is our own readiness to hear more of his music. An excellent opportunity arises in the recent CD release Piano Works (Divine Art 25152). From the "Italian Ravel" comes some eight compositional entities, a few in their world premier recordings. The liner notes tell us that the solo piano corpus of works have all but been ignored. It was Aldo Ciccolini who discovered that the works have an incredible charm and fluency. 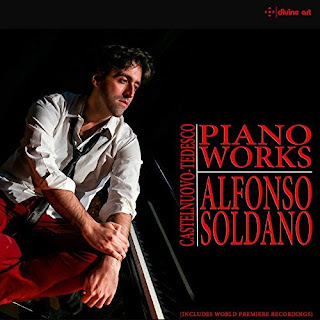 Pianist Alfonso Soldano gains an insider's vision of the music and transfers what he so wonderfully understands into our musical selves via the recording. There is a true wealth of subtly shimmering, poised and grandly sounding melodic-harmonic brilliance. This is music of a very high caliber, a treasure trove of fantastically pianistic utterance. Alfonso Soldano seems the ideal vehicle for these works. I cannot recommend this one highly enough. Or perhaps I just did? Just listen. Those in various winter zones out there right now can affirm that the season has been most intemperate. 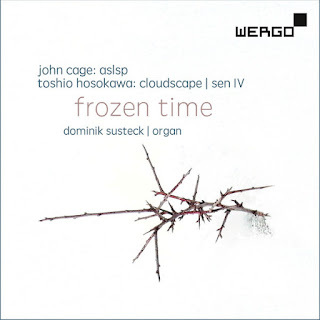 What better a time, then, to talk about an album entitled Frozen Time (Wergo 73682). It is Dominik Susteck in a program of most engaging high modernist organ music. We get a look at three composers and their realizations of the instrument's sonic potential. It is very much about extended techniques and sound color atmospherics in a firmly avant new music sense. The ability of the organ to endlessly sustain is a factor in all the music. But then what organ work does not make use of this trait in some way? It is implied in the very notion of massive organ acoustics in a large space. And so we have music by John Cage ("organ2/aslsp"). Toshio Hosokawa ("cloudscape, sen iv") and the organist himself (carillons I-III"). So what of this music? Necessary for understanding Maestro Susteck's choice of works and their interpretation is a grounding in a sense of the traditional aesthetic regarding music. Time is a special category that helps distinguish traditional Japanese from Western musical stances. For the Japanese tradition the fundamental organizing principal is the breath. The length of phrases and their movement are not about pulses in time, but rather that which can and should be articulated in one full breath as a unit. Music imitates nature in ways that surround the fundamental breath of life. John Cage in this regard often through his Zen Buddhist outlook brings something of the Japanese aesthetic to avant Western music. Is it a sort of breath-event for him? Not precisely. The music is rather an idealized model of nature, yet also as non-intentional, is something produced by nature. It is more complex than that. Nevertheless his organ work "Organ2/aslp" makes of the music itself and its realization like a roadmap to a territory, the landscape produced by the inner state of the performer in conjunction with the open yet specific demands of the score. Aslp stands for "as slow as possible," slow being here a relational unfolding of the sounds, the roadmap being proportional to the realized performance. Music here is a spatial thing, a sound-spatial realization of the proportionality Cage sets out. 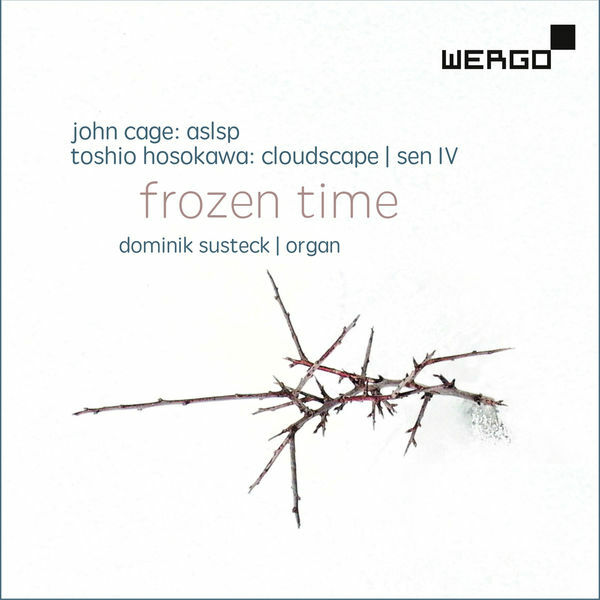 Hence it is not quite temporal and hence the title of the CD Frozen Time. These ideas are too complex fully to reproduce here. The works that follow by Toshio Hosokawa and Dominik Susteck are other ways of establishing musical spaces. The music as sounded by Dominik Susteck involves landscapes of emanation. The traversal of course implies a temporal presence in the Kantian sense, but the element itself is not primary to the music. It is fascinating to me how this music functions on one plane as a series of mnemonic devices for a meta-natural state of being. That only if you care to hear it that way. You can bypass it and just listen, too. Altogether the music presents provocative sound hermetics. Each invites the listener to experience the sounds as she or he would traverse an earthen or astral territory. We take a series of trips that are as much about the music's "pointing to" as they are about the sound sequences themselves. In this way we feel a more non-Western deconcretization of time and the intrusion of natural allocations. It is not necessary to grasp all of this to appreciate the compositions. They fit by their existence into what the modernist project makes available to the organ as instrument. For all these reasons and for the quality of the sound production itself I expect any adventuresome soul would gain as I did a point of view about modern-as-beyond-modernist-dogmatics and so too a sensual envelopment of sound art. I recommend this one! The present-day modern era has seen a great rise in literature for the solo violin. With some notable exceptions in the romantic era, there has not been such a flowering of this instrumental choice since the times of Johann Sebastian Bach. Today's release includes two such works, well played by Veronique Mathieu. Pianist Jasmin Arakawa joins Veronique for a third series of works. The three composer's offerings together comprise Argot (Navona 6105). 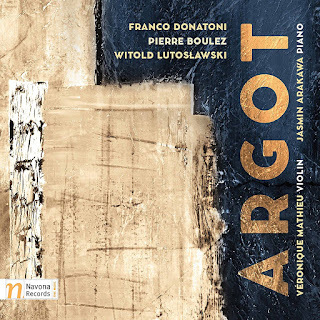 First up is the title work "Argot: Due Pezzi per Violino" (1979) by Franco Donatoni (1927-2000), one of the premiere modernists on the Italian scene after WWII. It is a work of demanding agility for the player, both exploratory and filled with flowing musical syntactics. Ms. Mathieu carries the day in a very musical yet spectacular manner. Pierre Boulez (1925-2016) I imagine needs no introduction to readers of these pages. His "Anthems I Pour Violin Seul" (1992) has the rigor and energy one might expect from the composer in his later period. From there we move to three choice Witold Lutoslawski (1913-1994) works for violin and piano. "Recitativo E Arioso for Violin and Piano" (1951), "Subito for Violin and Piano" (1992) and "Partita for Violin and Piano"(1984) give us the Lutoslawski depth and expression in compact terms. They are works that carry with them some of the composer's greatness. All are fully worthy of the loving attention Mathieu and Arakawa give them. Mathieu shines brightly on this program. Arakawa tends well a second flame as brilliant as the first in the second half of the proceedings. All listeners to the modernist excellence to be heard so abundantly will surely find in this album much to treasure. The Lutoslawski makes it all worthwhile; the Donatoni and Boulez give us pause and show us vibrant possibilities we are glad to contemplate and experience. Those talents who keep on producing despite less exposure than ideal may find themselves heard widely at last. US native Michael G. Cunningham (b. 1937) seems an excellent example. He has been composing since 1958. Navona Records has been releasing recordings of his music for a while. 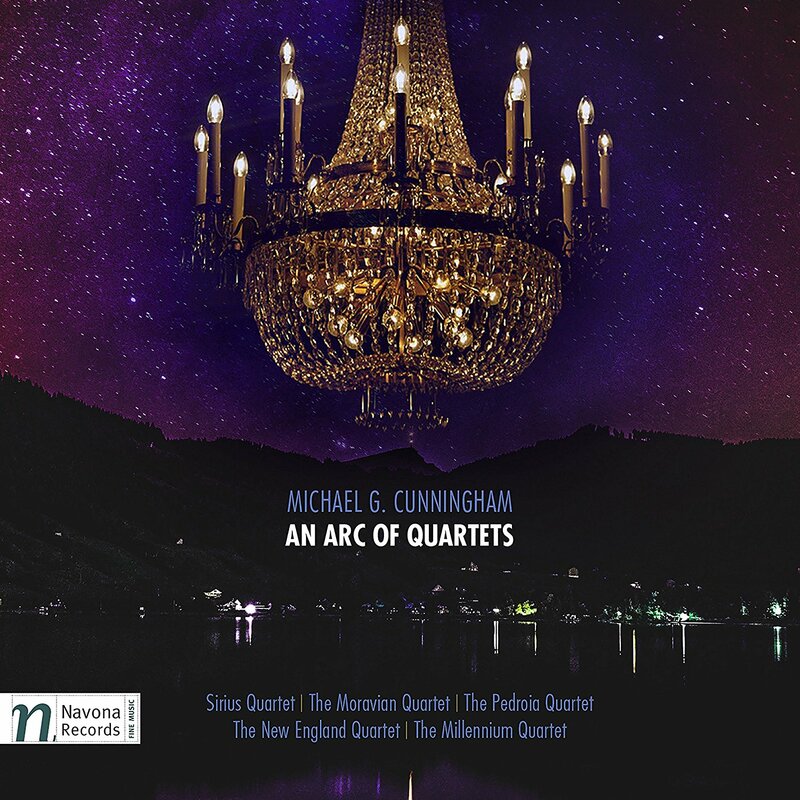 After five of mostly orchestral works we now have a fine chamber gathering entitled An Arc of Quartets (Navona 6081 2-CDs). It is the complete quartet output by Cunningham to date, from the No. 1 of 1959 to the No. 7 of 2016. If it sounds patronizing to say I was surprised to hear such fine music, I only mean that any new (to me) body of quartets faces the stiffest challenge from the past quartet giants of the repertoire, obviously the late Beethoven quartets, then so many after...Berg, Schoenberg, Debussy, Ravel, Hindemith, Bartok, Shostakovich, Ligeti, Carter, and on (leaving out some for now). After all the string quartet has risen to a medium where some of the most "serious" and uncompromised music has been made up to our own times. Can Michael G. Cunningham meet this challenge and win us over on his own terms? The answer, very happily, is yes. All seven are well played by, variously, the Sirius Quartet, the Moravian Quartet, the Pedroia Quartet, the New England Quartet, and the Millennium Quartet. All the quartets but the first have descriptive subtitles, "Three Satires" (2), "Partitions" (3), "Interlacings" (4), "Aggregates" (5), "Digital Isorhythm" (6), "Back Home" (7). The descriptive phrases give notice that the music is "about" something more than abstraction, that the intricate and moving high modernist post-Bartokian style has a human subject at its base. These are quartets in the grand modern tradition if you will. Deeply intricate, interactive, and probing are all of them. It is a milestone set where we may not expect to find them, only because Cunningham is for most of us only now emerging into our musical life. I do recommend this for any modern string quartet enthusiast. It rightfully holds its own and seems destined to take its place in chamber gems of our modern period. Get this one by all means. As the agents of cultural and natural change are ever at work, we too make whatever change we can in our everyday lives and look ahead to a promise of better. The pressure of a newness can be unrelenting. There are times when there needs to be a pause, to make possible the verdure of revival, to give a space for a new becoming. Musically we ever need to look ahead as we look back. As if to make that freshening an aesthetic reality, there is a recent release to give us a space of introspective languor and at the same time a new take on the modern project. 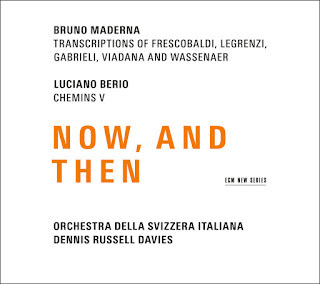 Dennis Russell Davies and the Orchestra Della Svizzera Italiana pluck gently for us a crop of 20th century modern memento mori if you will, in very past-in-present, recent-past-presently works by Bruno Maderna and Luciano Berio, Now, and Then (ECM New Series 2485). What we hear are a series of reworkings of Frescobaldi, Legrenzi, Gabrielli, Viadana and Wassanaer, transcriptions with beautiful orchestrations that make a currency of the ancient wonders we can hear very anew. There is a poignancy to these reawoken transcriptions. Maderna is an orchestrational titan and he makes it all glow. 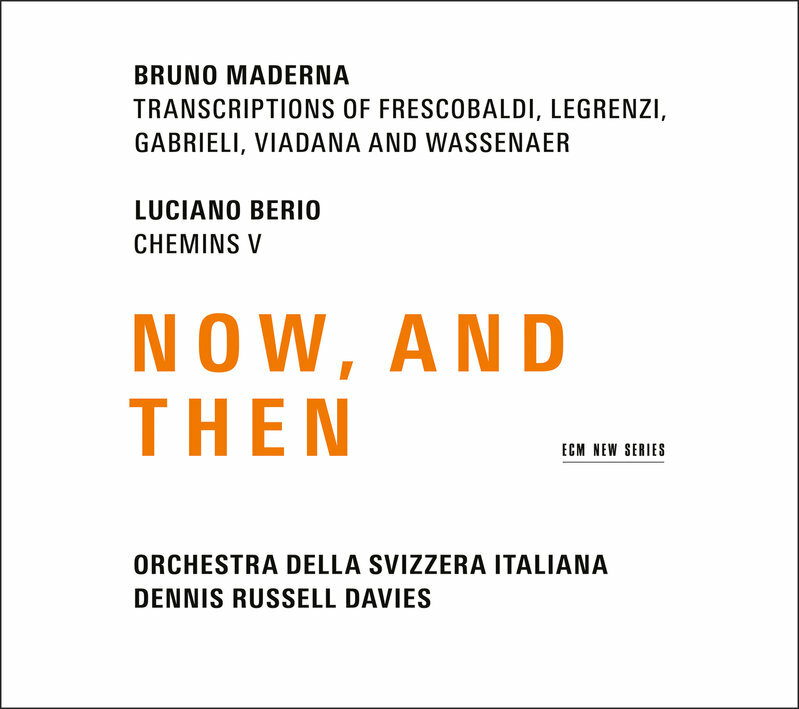 As if to remind us that we can go back to high modernism with the same refreshing new hearing outlook, Maderna's contemporary Luciano Berio (whose "Folk Song" arrangements come very much to mind in the wake of the Maderna here) has a nicely contrasted presence with a world premiere recording of the orchestra and guitar "Chemins V," which is a resetting of the solo guitar "Sequenza XI." There is to be heard the wonderfully resonant modernist Berio, a vastly rich human modernism that has more than advanced syntax alone, the more of which all modernists need bring to the music for it to thrive. That is the nuts-and-bolts of this recording. Performances are striking, recording values as fantastic as you would expect. The Now, and then old-in-new-in-new has a rejuvenating grace to allow you another feeling of present-past, to drive you to reflect that all past music, even later modernism takes place in a continuum that this program inscribes into your musical memory as it gives great pleasure in the doing. So I highly recommend it to you. The monumental breakthrough works of Igor Stravinsky were at first as much about orchestration as anything. He used the orchestra in ways that fully extended what Rimsky-Korsakov had in turn extended from the Impressionists. And so works like Petruska and The Rite of Spring rang with an unforgettable sonance. We of course have lived with these works a century or more. And too it is the sequence of the notes that were a magic in themselves, an originality that beguiled with Petruska, then at first became shocked with Rite. There was an expressive opening out with these one-after-another works. After listening so often to the final orchestrated versions over the years we can sometimes be so accustomed to the full unfolding in orchestral terms that we lose sight of the paradigmatic blossoming of the tones as a whole. So then it becomes time to make it all fresh again. An excellent means to that is in the piano four-hands arrangements of the works: 3 Movements from Petrushka, The Rite of Spring (MSR Classics 1628), as played by the Lomazov-Rackers Piano Duo. These are of course two of the seminal breakthrough works in the advent of the Modern movement in music.That a century has passed since their first hearings is in many ways a blessing. We KNOW the music, understand it, and can with the right people push the performances further onto those pathways of what we hold to be so, what we can now hear clearly looking back from the vantage point of the present. So much has come after, as if to bring out the essence of this music and what it has done for us. The Lomazov-Rackers Piano Duet make an ideal vehicle for these works. Clearly both have lived with this music intimately and can re-execute it all in ways that a long, lingering living-within makes possible a new possible. So the Petrushka burns as brightly and as excitingly as it ever has in the piano reduction. It dazzles with light. The Duo have a technical prowess which is put in service to the music as it can be brought out in the most exciting manner. It is a wonderful thing to behold! Then the Rites come through in ways I have not heard bettered. There is masterful control at work. The music no longer seems complicated and ineffable. It is perfectly, palpably clear and makes vibrantly musical sense. If anybody once feared or was outraged by this music, it is laughably behind us. Except there are people you might run into who cannot even understand Beethoven! My mother told me after she had finally gotten it all that "There used to be a man in the apartment downstairs from us who played classical music 78s. I was frightened by it. Until now." The present among other things is a time where the modern begins a full assimilation into the folk mind. In my mother's lifetime Beethoven became mainstream. Now today another embodiment, the modern as part of the everyday mind and ears? Yes. And nowhere better to assimilate it than with this disk by Lomozov-Rackers. The future may still be the past, but we are catching up slowly. Anybody who might take the time to listen carefully should find the present disk a very heartening thing. I cannot think of better performances! So you should listen! Buy with confidence. Winds howl outside, snow flies past my window like it knows where to go on this forbidding January morning. And yet still there is music, new music, maybe especially on a day such as this. I turn to something on my pile that I like quite well. 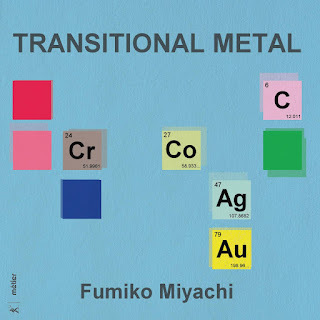 Transitional Metal (Metier 28563), a CD program of various compositions by Fumiko Miyachi. There is a proto-primal sort of diatonicism at work in these works. Major seconds coexist together for example in a harmony not of the smooth and firmly directed sort, but rather of a personal expressive provenance. So too rhythm is pronounced and forward tending, and in its own way singular. There is a charmingly understated lyricism at play here. Not of the jejune, happy-faced idiocy sort (for that a certain minimalist unnamed comes to mind). There is beauty in the breakup of parts to an immediacy of pulse but as much a sort of neo-classical earthiness that can be detected, yet a trace of the minimal confluence too, all set apart and reserved anew for the Myachian mode. I love this music. There are pieces for piano duet and piano that feel as if we were auditioning musical transcriptions from an imaginative mind in another galaxy. Then there are "Two Shakespeare Songs" that ring true. And chamber works both smaller and somewhat larger, including an appealing three-part work performed by the Birmingham Conservatoire Brass Band. The music feels new and very personal. It does not feel pretentious in the least, but instead sings with a nicely turned humanity it is heartening to hear. I recommend this if you want to smile. And why wouldn't you? Fumiko Miyachi is a welcome voice in the sometimes overabundant present new music world. I am happy! Composer Steven Stucky (1949-2016) was an American original. That doesn't mean that hearing his works will turn your musical expectations upside down. His music has a subtle, modernist coherency of craft and inspiration. 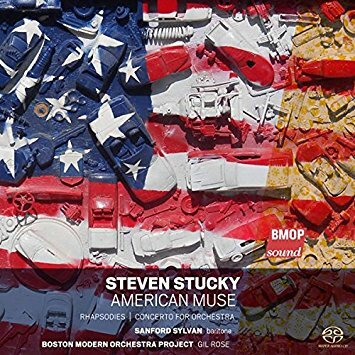 We hear him at some length on American Muse (BMOPSound 1050) another fine volume in the Boston Modern Orchestra Project devoted to deserving American Moderns. Gil Rose as usual conducts. Sanford Sylvan appears as baritone on the title work. The performances are of the caliber one comes to expect from the BMOP. There is a requisite depth and detail that these works demand. Three works invite themselves to our inspection and pleasure. Stucky in the informative liners sees himself arising out of the classical tradition rather than blazing forth as an avowed iconoclastic innovator. He is a Brahms in contrast to a Wagner, more a synthesist than a tabula rasa. The first is the 2006 "Rhapsodies," a short prelude to the two substantial works that follow. "American Muse" (1999), the title composition for this program, has breadth and depth. It has a moody precision born of the best sort of conflation of text and tone, expressively dramatic brush strokes against luminous transparencies. Like the work that follows, "American Muse" comes out of the mist to take shifting form with a palette of orchestrational wholeness. And finally we hear a very glowing turn to pure music in Stucky's 1987 "Concerto for Orchestra." A sort of bookending, an expressive abstraction-synthesis of perhaps a Ravel and a Ruggles can be discerned if you linger with the start and end points of "Rhapsodies" and "Concerto for Orchestra." A more Whitmanesque turn to sequential metaphoric realism fills out the space in "American Muse." Together they form a vibrant introduction to Stucky the overarching reworker of what-is to get a what-hasn't-been. It is music you must live inside of for a time. That might be said of much of what I cover on these pages. But I must say that Stucky quite palpably emerges in his full musical personality in increments as we listen between the spins of our periodic existence. Bring yourself to this music. It will add something to your life. All great art builds a space inside you if it is allowed to do so. You are the host for a musical organism that extends self rather than parasitically feeds off of it. We are the better for it. And so I recommend it to you. The heavenly orbs rotate around us as we them, today as always. The Creation must have music, new music on this first workday of the New Year. Who are we to deny the cosmos? Not me. In compliance with the ongoing need for new sounds, I turn today to the Iceland Symphony Orchestra under conductor Daniel Bjarnason in a program of significant new orchestral music. The CD is named Recurrence (Sono Luminus DSL-92213). As is the case for most Sono Luminus releases these days, the music comes as two disks, one in high quality two-channel stereo, and one as a multi-channeled Blu-Ray Disc. The music speaks to the very new inside us. Does it embody the work being done today, the very music that future humans may celebrate? Our times may cloak the vividly creative work taking place right now. You wont find mention of it on TV, not on your Smart Phone, not bursting out at you from the Internet. Yet it is happening. In Iceland? Why not? Is this music the "it" of future music minds and ears as they look back over the deep pockets of history? I do not know. It is not the music of the past. That's clear. Each of the works on this program unfolds the previously mostly latent spatial-color possibilities of the modern symphony orchestra as viewed through dynamically creative sets of lenses. We after all dwell in space, in spaces that can sound with only the limitations of our own imaginations and the dedication of those who devote their lives to making it all so, to making it ring in our ears so that the black notes of the scores become aural worlds we can live within happily. If that seems a bit much, I can tell you that the program on the CD brings to us a new opening onto the modern project, a music of space and color, drama and steady unfolding. These are works by composers you may not know well, or even not at all. Yet none of them feel the least bit anonymous. 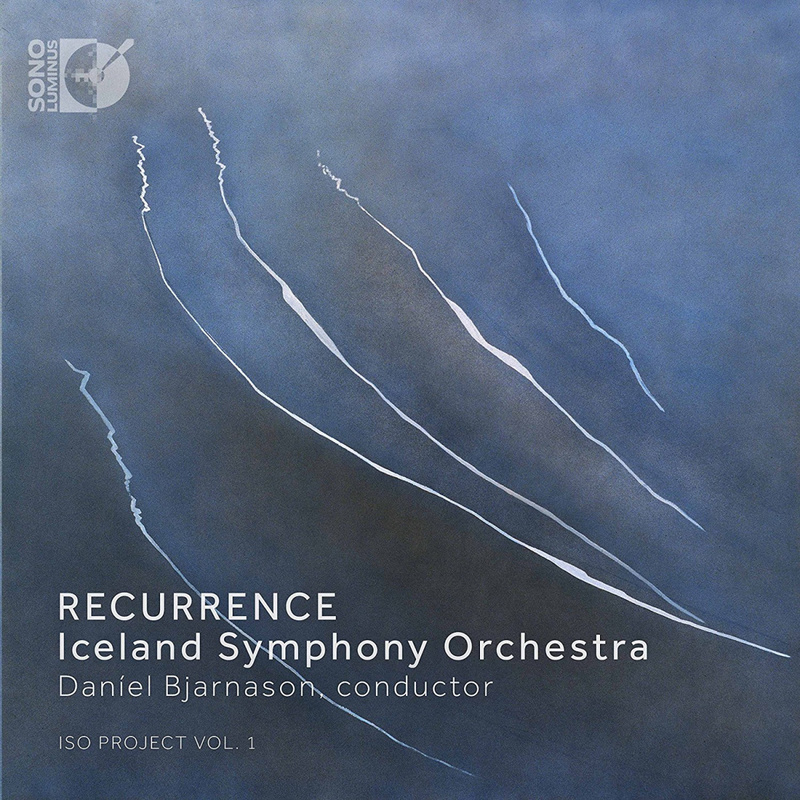 So we have in toto Thuridur Jonsdottir's "Flow and Fusion," Hlynur A. Vilmarsson's "bd," Maria Huld Markan Sigfusdottir's "Aequora," Daniel Bjarnason's "Emergence," and Anna Thorvaldsdottir's "Dreaming." All are more than 10 minutes in length. Some hover around 20 or so. Some pulsate with an orbital glow. All come out of the space of silence with an expanding universe of contemplative presence. Mystical, mysterious, mytho-poetic. It is music that strikes you increasingly yet remains ineffable and enigmatic in energizing ways. It is a something that you could well overlook. Do not do that if you seek possible futurities in the modern orchestral present. There is a lot to sink into here. And come back to. Like looking at a patch of sand on a beach, every time seems a little different. No same stream twice. So check this out, please do.